I recently posted about my own vacillation between longing for greatness and totally dismissing my own worth. In that post, I promised I would write more about how “the mind Christ” can help us avoid these extremes. But before I do that I want to go a little deeper into the struggle. I was afraid I would scare everyone away with admitting how my pride tends to puff me up. Instead, I was amazingly encouraged by comments here and on Facebook, and by private contacts from close family and friends. I don’t take that encouragement lightly. I don’t want to let that encouragement give me an excuse to cover up the ugly pride that is in me. Instead, I want to lean into the support I’ve been offered. I want to put my longing for greatness under a little more scrutiny. 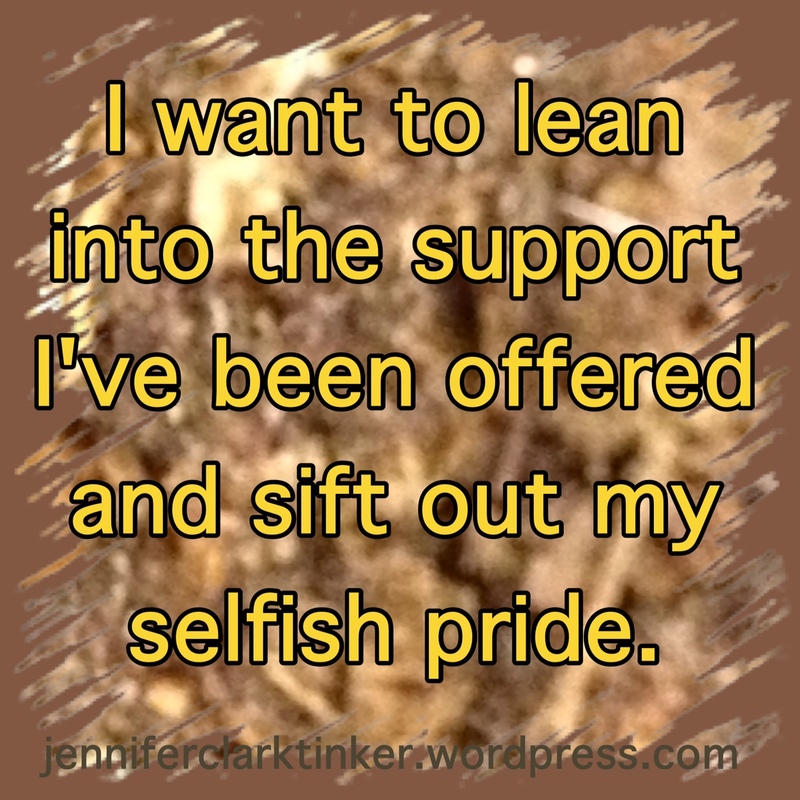 I want to sift the good intentions from the selfish pride. Some of the feedback was from folks who seemed to resonate with the pendulum between thinking too highly and thinking too lowly of ourselves. So, I’m glad I’m not the only one who goes back and forth! I was relieved to know that other people seemed to understand the need to hold both extremes in check. Much of the feedback I got was more directly related to my longing for greatness. One person related the idea of “greatness” to a quest for excellence. I thought that was brilliant! I admire people that have that drive. I kind-of wish I could say that is what my desire for greatness is about. Don’t get me wrong. I have no intentions of trying to get by with poor writing or half-baked speeches. I want to do well what I do, but that is a matter of integrity for me and I don’t think it quite relates to my urge for greatness. It may for some people be their drive to be “great,” but that’s not primarily what this is about for me. Another angle of feedback from multiple sources was the acknowledgment of the mixed motives involved in wanting to be great. Folks were extraordinarily gracious in pointing out that there are some good reasons to want to be great–like the opportunity to touch more people’s lives. That is part of why I want to be “great.” I want to write and speak in order to help other people. I want to make my story available to others so they can be encouraged. The more well-known I am, the more people I can reach with what I write and say. This is true, but there is more to it than that. One of the bits of feedback I got was from David Housholder and he said simply, “Make the big time where you are” and provided a link to reflections about and recordings of his college football coach, Frosty Westering. I popped over to Housholder’s site and listened to his podcast about his coach and part of an interview with Coach Westering’s own voice. I urge you to go listen too. Coach Westering was as much about building character as he was about coaching football. Coach Westering’s advice to “Make the big time where you are,” was essentially to not worry about how well-known you are, but to do great things wherever you are in life in whatever tasks are before you. And that was it. Right there! So much of my longing for greatness is I want to be well-known, I want to be famous! It is hard to be content with the right-here, right-now being my “big time.” It is wicked hard. Making the big time where I am? Where’s the glory, my glory, in that? There it is, the ugly nugget that needs sifted out: my selfish desire for my own glory. Of course I have good motives, but that self-serving desire for greatness sometimes takes on a life of it’s own. I don’t want it to take over. I want the good and right motives to take their proper place. I want to make the big time where I am. But that nugget, it’s a heavy one…and there are parts of it that are kind-of shiny. It’s not an easy one to cast aside, my friends. Which of course, is all the more reason to write about it. And it is all the more reason why I need the mind of Christ. Thank you so much for writing this. I am so glad I “found” you on Twitter, and now have discovered your blog! Hokey dinah, do I ever resonate with this post. thank you for helping me (and all of us) sift through our feelings and winkle out our ego where it may be found. Lord help us. God bless you.